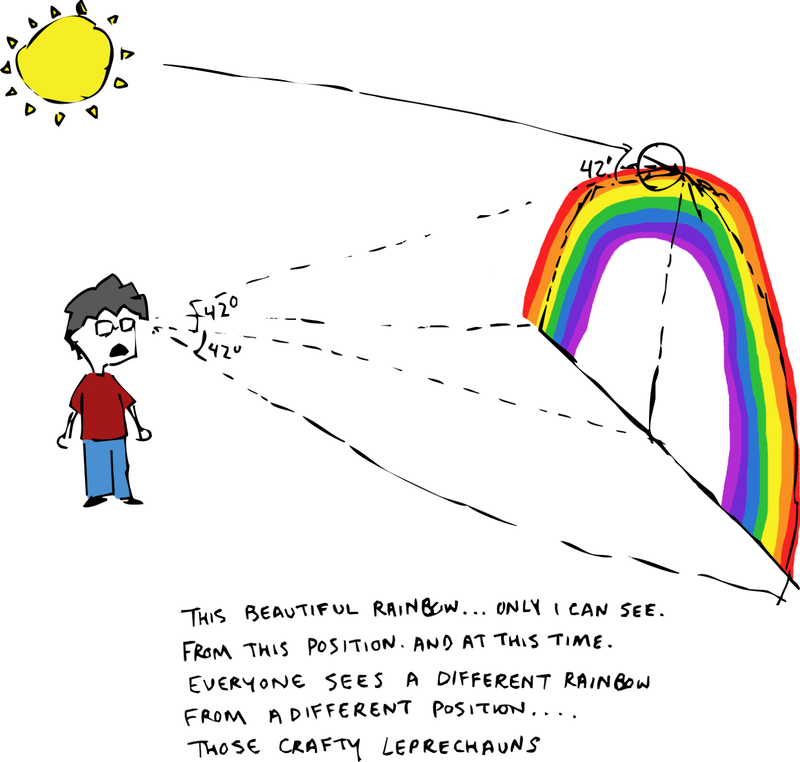 Rainbows are bent because we can only see the sunlight refracted through rain droplets at an angle of 42 degrees. The rainbow you see is the product of the sunlight, the droplets, and where you are standing. That means that if you move somewhere else you are actually seeing a new rainbow made by new raindrops beaming light to your new location, but always bending it 42 degrees first. Sketchy Fact #36: Avast, Ye Scurvy Guinea Pigs!